A man wielding a machete was shot and arrested Monday in capital Tehran after he tried to intrude inside the presidential complex. The man, a 35-year old, was shot at a leg when trying to force the security gate of the presidential office in Pasteur Street in central Tehran, Mehr news agency reported. Another news agency, Tasnim, indicated that the attacker was also carrying a white shroud, symbolizing his readiness to sacrifice his life. 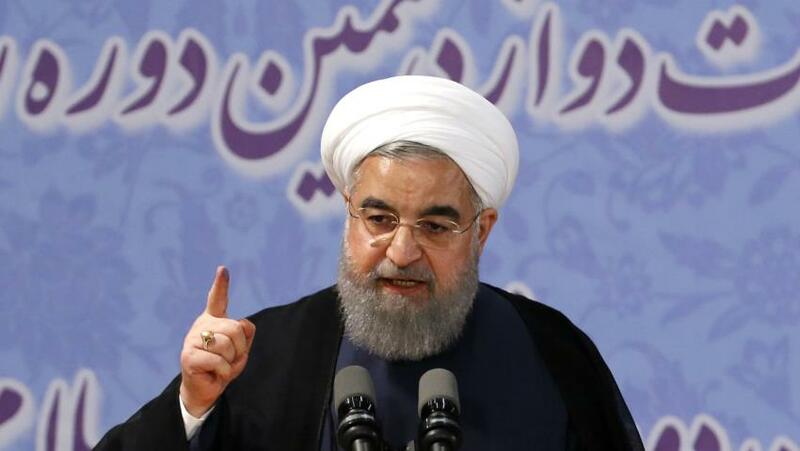 It was not officially announced whether President Hassan Rouhani was present at the time of the attack. Yet, local news reports said he was attending an event outside his office. Protesters, according to news reports, at least every month gather in front of the President’s office to ask for the return of their savings invested in unlicensed credit and financial institutions. The country was shaken in December by the widest demonstrations of recent years as millions of Iranians protested against increasing commodity prices and rising unemployment rate, while hopes that followed the 2015 nuclear deal that the country’s economy would open to the world and bring in investment have been shattered. National currency rial hit a record low against the US dollar on Monday. It seriously plummeted against the dollar on the free market; 47,800 rial to the dollar, the lowest since September. Rial quoted 35,570 to the dollar in midi-September. Written by: KanelkaTagba on February 6, 2018. Posted by KanelkaTagba on Feb 6 2018. Filed under Headlines, World News. You can follow any responses to this entry through the RSS 2.0. Both comments and pings are currently closed.